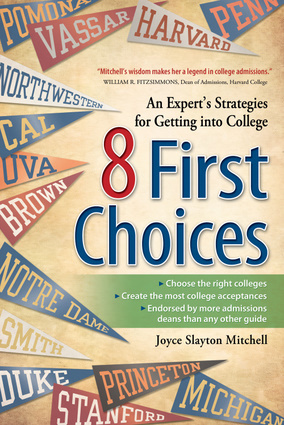 Joyce Slayton Mitchell has most recently acted as the Director of College Advising at independent schools in New Jersey and New York City. She has served on the Editorial Advisory Board for the College Board Review and on the school committee of US News & World Report's special college issues. She is the author of 36 works and travels throughout the United States, Europe and China giving college admissions workshops.